I hope everyone is all set for a relaxing weekend. I had some renovations going on last week and I wasn’t feeling so hot on top of all of that (lots of sickness going around these parts), so I’m looking forward to sitting back with some games. I also have to finish getting stuff for the new kittens that come next Friday and line up an initial vet visit. If anyone here feeds or has fed their cat(s) a raw food diet, I would love to hear your experiences with it. We are thinking of going that route after decades of dry feedings for cats. I didn’t have a chance to play much last week with everything going on around here, but I did manage to finish the Blackreach dungeon in Skyrim VR. The Blackreach complex is perhaps the largest dungeon system in all of Skyrim and it took all of my limited playtime to complete the entire thing. Now I’m loaded with so much loot that I’ll have to visit at least three cities just to find vendors with enough gold to buy it all. 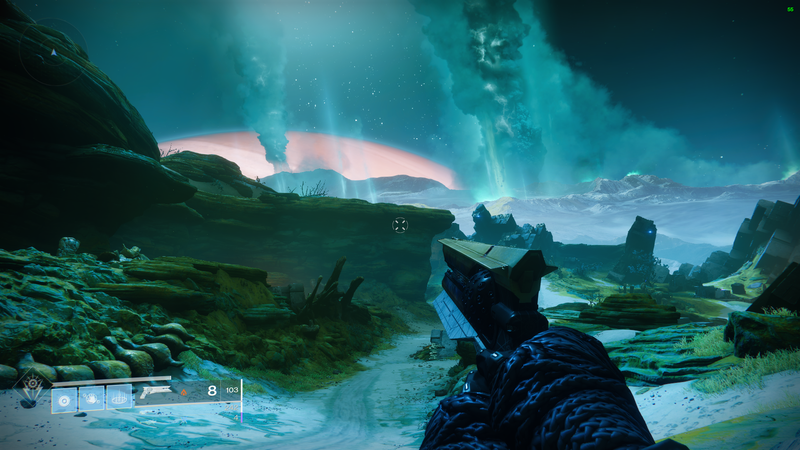 Last week I also had another session of the Destiny 2 campaign with my friend and I think we are now down to the final missions. I’m thankful that once we’ve finished the campaign we will finally be given a mount that can be summoned at will. A vehicle will make the long stretches of uneventful travel in the game less painful. (though I suspect I won’t return to the game once we are done with the campaign). The tone of Destiny 2 is all over the place and it never seems to click with me. It vacillates between cartoony-humour and deadpan seriousness, none of which feels at all authentic and the dialogue feels like it was constructed by a committee. It is a very pale echo of the much better Halo universe. Mercifully, the campaign is short, so one more session and we will likely be able to move on to another game. Many have said the Forsaken DLC has a better storyline and more Nathan Fillion, which is the better part of Destiny 2 (though Fillion loses a lot when he is just doing voice work and you don’t see the expressions on his face ). Even with extra Fillion, I don’t imagine I’ll explore the Forsaken content as I have no interest in more of Destiny 2 at this point, especially if I have to pay for it. We explored a little Crucible and Vanguard content after unlocking them in Destiny 2. The Vanguard content felt like more lifeless campaign (though it was thankfully much tougher, especially with only two players) and the PVP content of the Crucible really isn’t something I want to get good at. Plus, it matched my friend and me, who are weak level 20 characters, with high powered level 50 players and that wasn’t so fun. I’m looking forward to some more of The Last Of Us with my wife and Breath Of The Wild with my kid this weekend and, of course, there is always more Skyrim VR to pick at when I get some alone time. I also bought a VR cable management system that I’m excited to install, when I have a moment. Even the music video for Destiny 2, featuring the eminent Paul McCartney, can’t find its footing and makes me feel awkward and disappointed.